Do you know when the Battle of Vimy Ridge was? Less than half of Canadians know which war the famous Battle of Vimy Ridge was fought in, a new poll suggests. 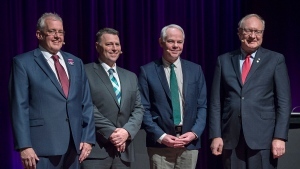 The Ipsos Reid poll, commissioned on behalf of the Vimy Foundation, quizzed 1,015 Canadians from across the country, asking them six questions online, including when the battle was fought. According to the poll, 37 per cent of Canadians incorrectly thought the battle was fought during the Second World War. Others said the battle was fought during the Korean War (4%), the Northwest Rebellion in Canada (8%), the Afghanistan War (2%), and the Boer War in South Africa (2%). Only 47 per cent correctly said the battle was fought during the First World War. 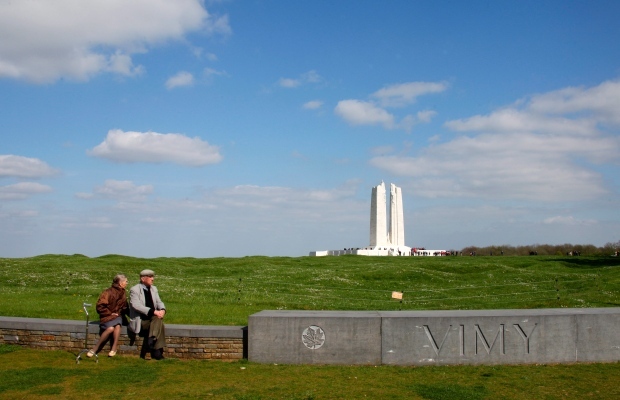 Commonly recognized as a turning point in Canada's war history, the Battle of Vimy Ridge took place on April 9, 1917. More than 3,500 Canadian soldiers were killed during the seminal battle, which helped allies capture their first significant victory during the First World War. To underscore the losses suffered by Canadian forces in its impressive victory over Germany during that battle, Canada was granted 107 hectares of land at Vimy, in northern France, to build a memorial. A new Vimy Education Centre will be unveiled in 2017 in conjunction with the battle’s centennial celebration. According to the poll, approximately three per cent of Canadians say they or a family member plan on travelling to France in 2017 for the event. The poll was conducted from March 14-18, and is considered accurate within plus or minus 3.5 percentage points.